Servicing and repair or overhaul can be arranged on Multivac machines with no call out fees and no premiums charged for vacuum packing machinery. Just contact David on +44(0)7988444249, or use our online enquiry form. Alternatively you can submit your comments or questions through our feedback form. Oil-free in application with backing pumps for 0.001 mbar vacuum and very fast emptying time. BORA rotors geometry (STEM patent) is the only one which grants 3 lobed rotors to be completely free from this phenomenon. Grant high reliability and component life. Low diameter shaft reduces peripheral velocity and subsequent friction. High speed usage advantage without overheating. Having worked in thermoforming and tray sealing packing industry for nearly 20 years. 13 years of which was with Multivac, as both a workshop technician and 10 years as the workshop supervisor. Our understanding of the machines and tooling is very extensive and we understand the demands of the fast moving requirements of the industry. Our aim is to work closely with you to supply products and services to the highest of standards that meet your requirement and expectations in a timely and cost effective manner. 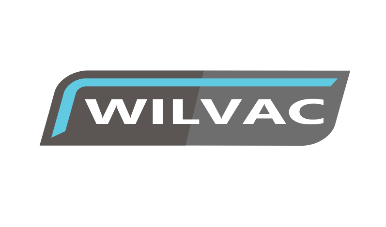 For over 7 years Wilvac Ltd have been offering businesses throughout the UK and Ireland servicing, repair die modifications, strip punch sharpening and transport chains etc. on various types of vacuum packing and gas flushing machinery. Our services are always focused on our customers’ best interests and we provide solutions tailored to their needs. We also supply BORA vacuum booster pumps. ULMA Packaging is a leading packaging machinery manufacturer. Our extensive packaging range includes flow wrapping, vertical bagging, thermo-forming, tray-sealing, shrink wrapping and automation lines to handle each customer’s individual needs. ULMA also provides world class sales & service support in the UK & Ireland. Covering a range of sectors from produce, bakery, meat, poultry, ready meals & cheese to non-food sectors such as medical, ULMA strives to offer complete packaging solutions.